We have still to post teaching and learning material. Check back soon. 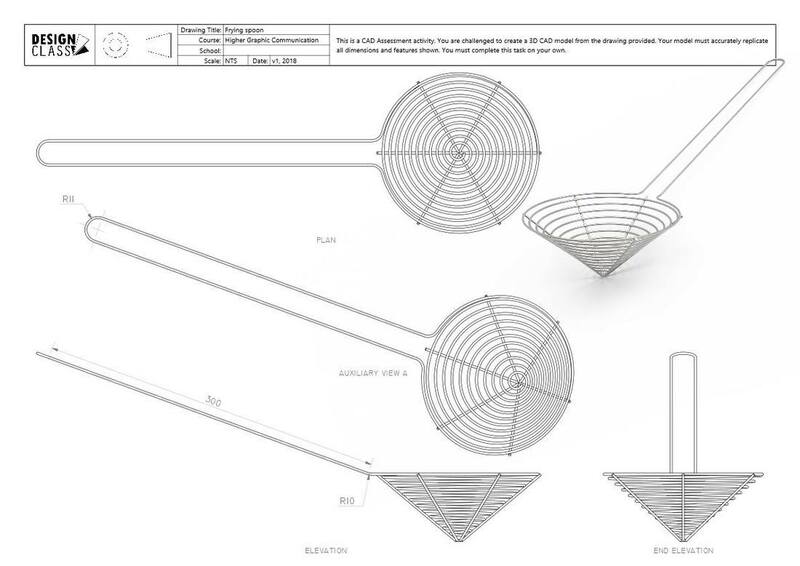 A series of CAD challenges are provided below. These cover all the skills required for 3D CAD modelling at this level of Graphic Communication. 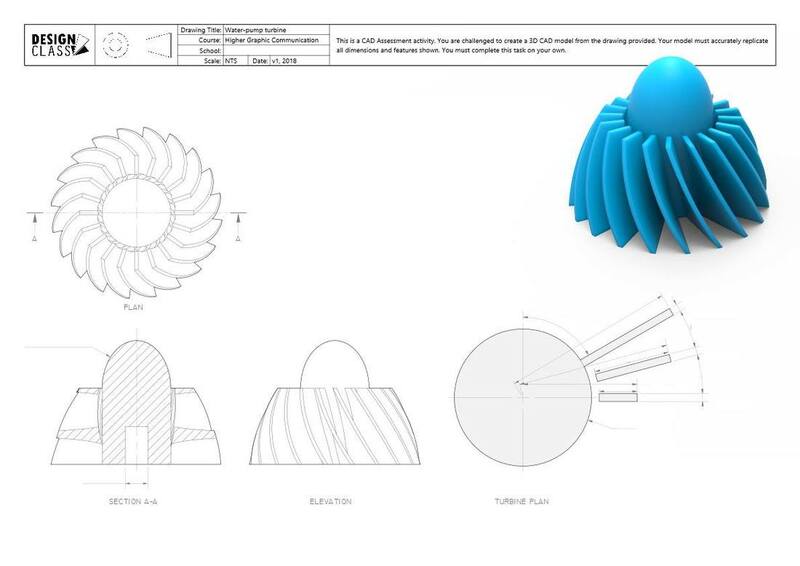 The following files are used to assess a student's capability and understanding of CAD. The files are password protected. Teachers should email us for the password. 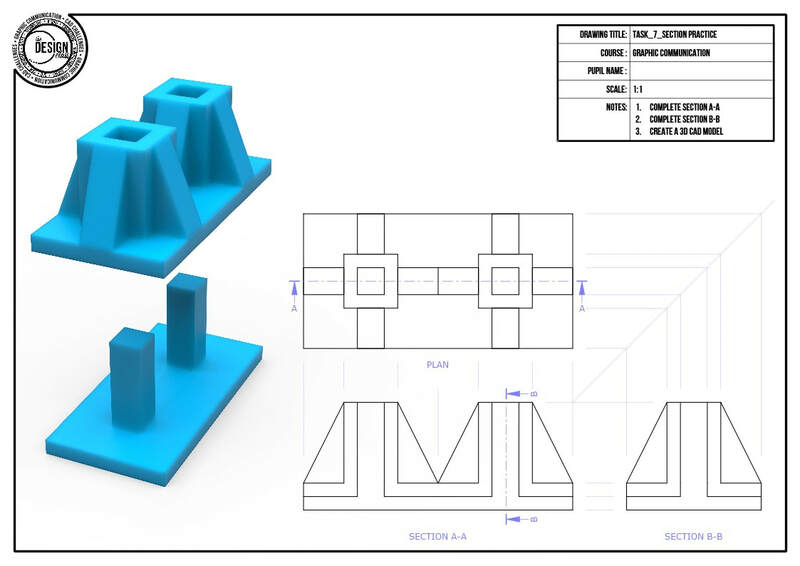 The Level-C CAD challenge should be suitable for candidates comfortable with 3D modelling. Level-B CAD challenge, for candidates with strong CAD skills. 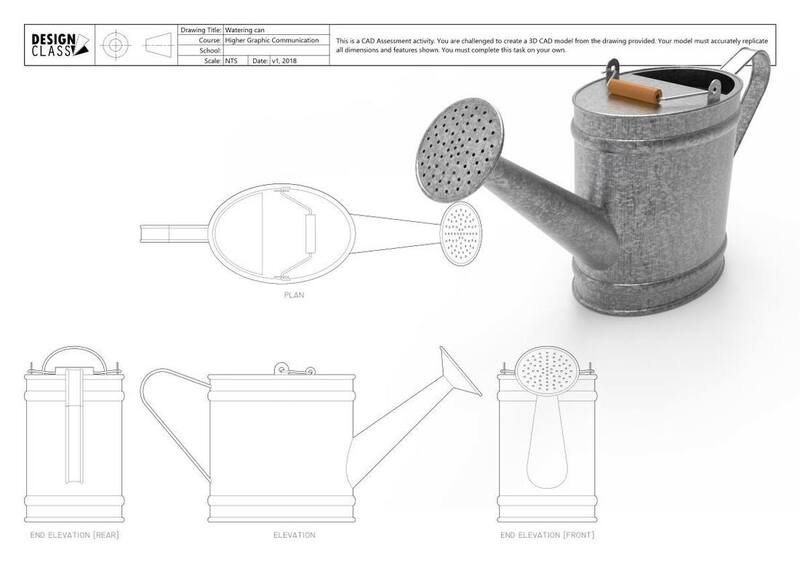 This is the Level-A CAD challenge. Only the most confident will succeed here. Copyright © 2012 - 2019 | All content on DesignClass is copyright, unless otherwise specified. ​No work or material may not be copied or reproduced without permission. You may share resources, but not alter without prior permission.